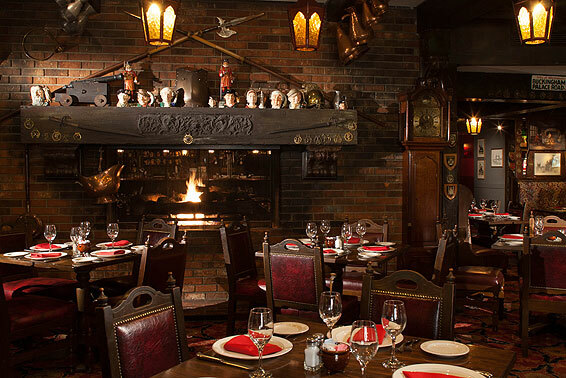 Michael Fletcher welcomes you to Lord Fletcher's the original restaurant that launched "Restaurant Row" in Rancho Mirage, California. After over 5 decades, it remains one of the busiest restaurants in the desert because of its atmosphere and generous portions of entrees. Nightly specials include Barbecued Beef Ribs with famous Open Pit sauce, Roast Chicken with homemade dressing and fresh Scottish Salmon. Dinners include soup or salad and are affordably priced from $28to $48. Those with "Sweete Toothes" need look no further. English Rice Pudding is made fresh daily, served with raspberries or cinnamon and whipped cream. For those who prefer a little punch, Lord Fletcher's signature Royal Brandy Ice, an exotic after-dinner ice cream drink, comes highly recommended. Open for dinner Tuesday through Saturday from 5:30 p.m. Reservations are suggested. The pub opens for cocktails at 5 p.m. Prices and menu subject to change. 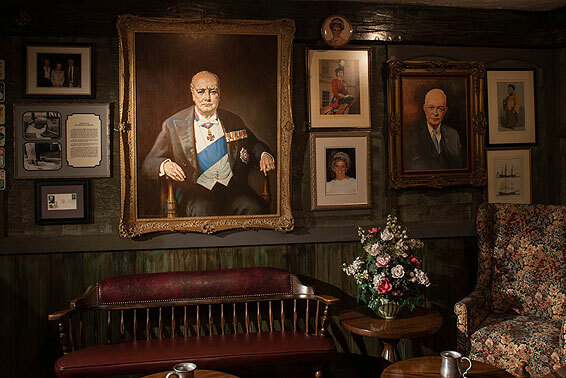 A portrait of Sir Winston Churchill hangs in the entryway of Lord Fletcher Inn. 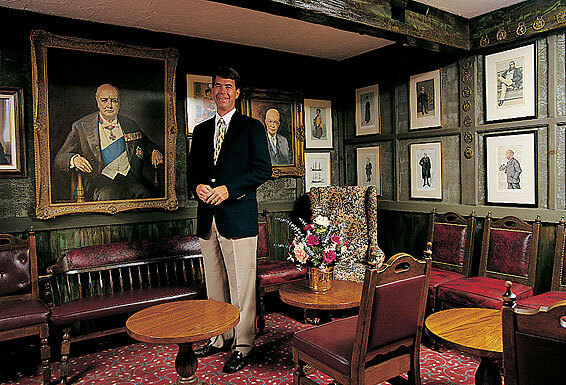 The painting is part of the warm atmosphere that awaits quests when they arrive and epitomizes the intimacy and familiarity felt by guests of Lord Fletcher Inn — many of whom have been dining with Ron Fletcher since he opened the restaurant over 50 years ago. 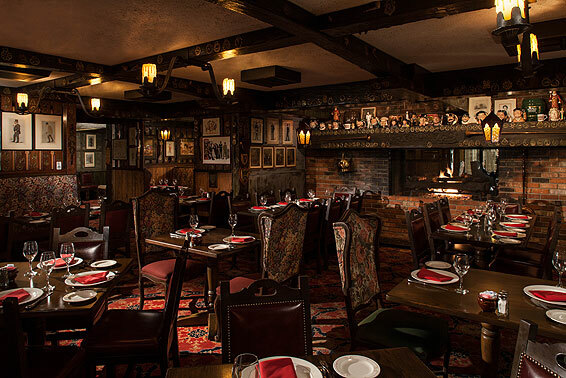 Now owned and managed by his son, Michael Fletcher, dining at this intimate inn is an old-fashioned English experience unduplicated in the desert.. The interior features a fascinating collection of authentic art, antiques, etchings and bric-a-brac, all hand-selected and shipped from England by Ron Fletcher. Each room has its own special appeal. Some diners opt for the lively pub, which showcases a collection of English Toby mugs. 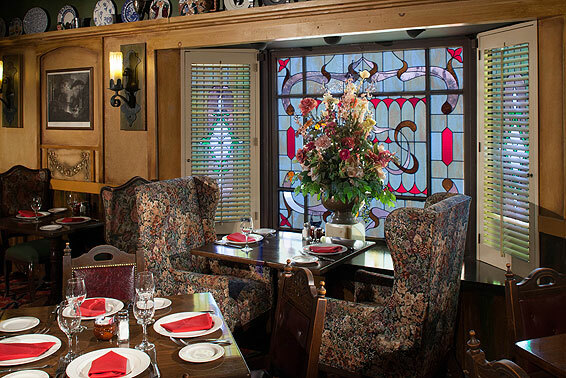 Others prefer the main dining room or more intimate Shakespearean Room, named for its exquisite 200-year-old etchings depicting scenes from Shakespeare's plays.